Cocoa or cacao powder is produced by pressing the ground-up cocoa nibs, removing a significant proportion of the fat or cocoa butter, leaving a residue called cocoa powder. Instantly transforms smoothies, desserts, and other recipes into the healthiest chocolate. 2 tbsp. serving of cocoa contains just 25 calories and 1.5 g of fat. 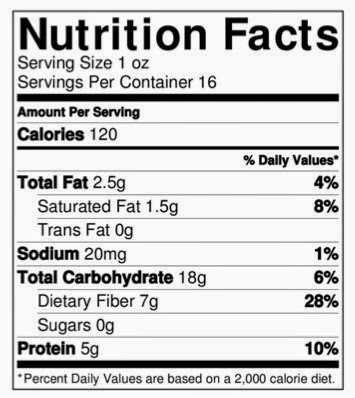 It also provides you with 3.6 g of fiber, which is 14 percent of the daily value, 8 percent of the daily value of Iron, and 14 percent of the daily value of magnesium! 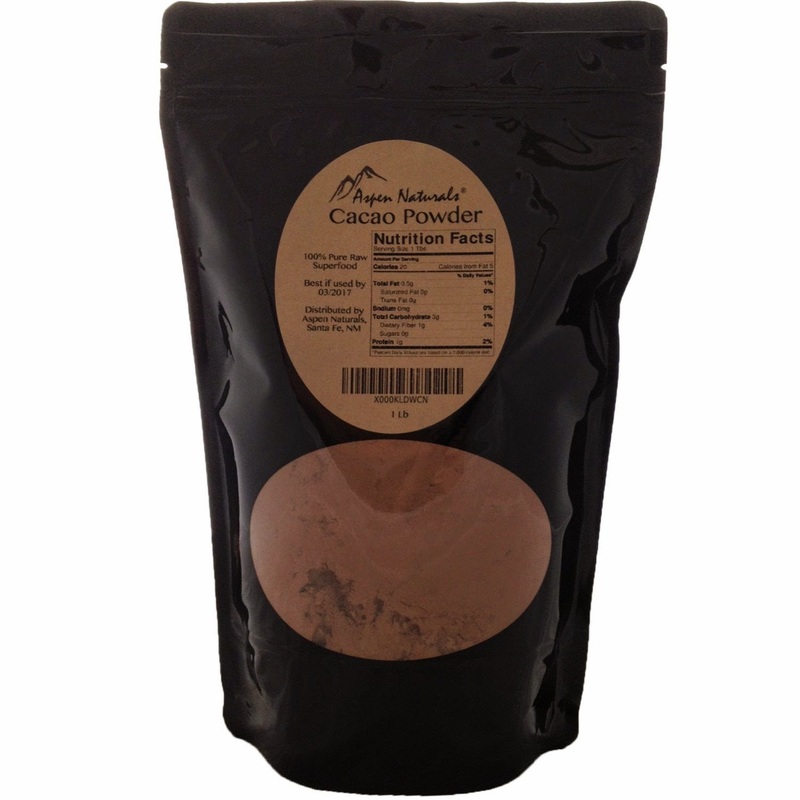 Cacao powder may reduce your risk of cardiovascular disease. Our unsweetened cocoa not only has the advantage of being low in calories, but it also contains essential minerals that support your heart, bones and immune system. ★ Cacao mass contains potassium, phosphorus, copper, iron, zinc, magnesium, flavonoids, panthothenic acid and vitamins A, B1, B2, B3, C, and E.
★ It also contains phenethylamine and serotonin, which are neurotransmitter found in the brain that act as a mood elevators and natural antidepressants. ★ Cocoa also has the ability to boost endorphins, which act as a natural "happy" opiates and are responsible for the highs that are often felt after exercising, laughing, being intimate or winning the lottery. 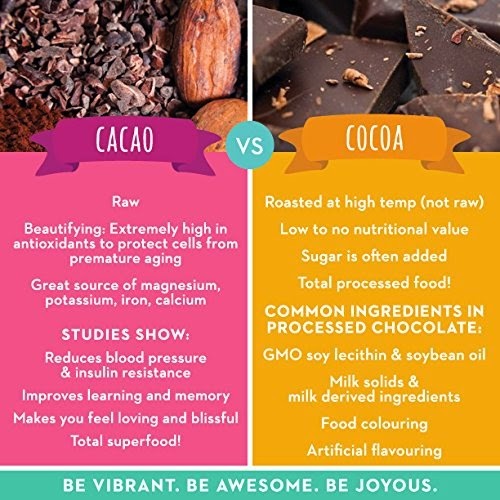 ★ ORAC antioxidant laboratory analysis confirms that there are over 25,200 antioxidants in a single spoonful of our 100% raw natural cacao powder! 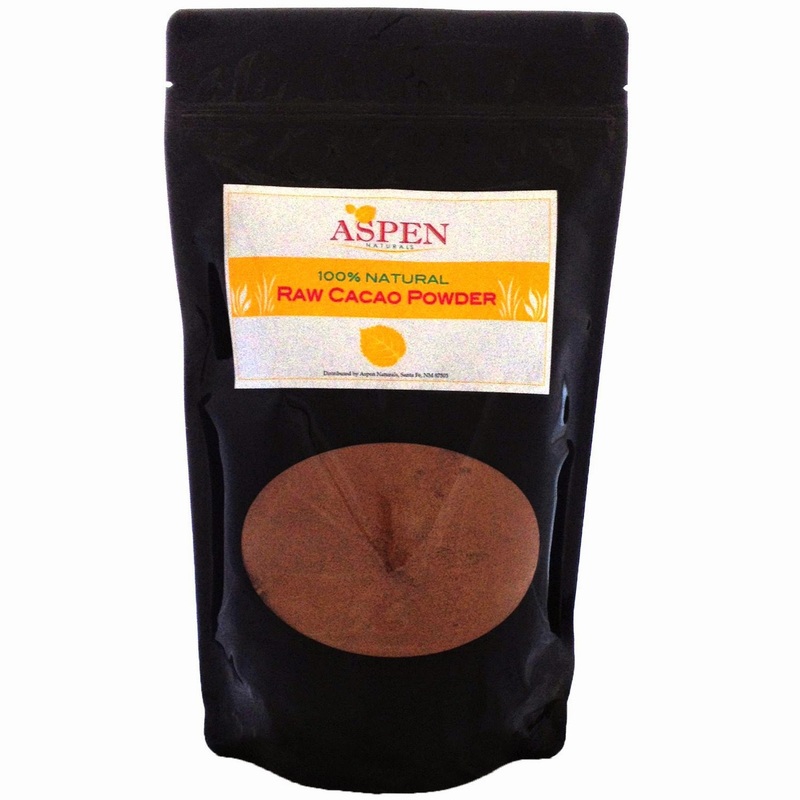 I was happy to get to try Aspen Naturals 100% Natural Raw Cacao Powder. I cannot have sugar in my diet so it is hard for me to find chocolatey treats. I am thrilled to have got this Raw Cacao Powder! It is delicious! I had my whole family try it and they all agreed it was the best they had ever tried. I have tried many many different brands and types of cacao powder over the years, especially for baking and this is just wonderful. The quality is superb. What I really love is that I only have to add a small amount, unlike others where I would have to add Tablespoon after Tablespoon to get a hint of chocolate flavor. This is not like that at all. When I first made this Iced Coffee pictured to the left, I thought I would add 1 Tablespoon at a time and see how much I would need to make this 20 ounce cup. I was shocked when I tasted the rich delicious chocolate flavor after the first Tablespoon. I am sure I could have used even less and it would have been just as good. I cannot wait to make home made brownies with this raw cacao powder!